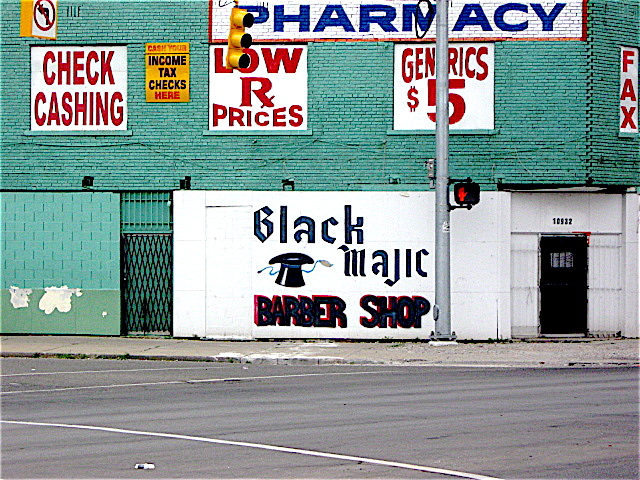 Grand River Avenue in Detroit is a major road that starts in the heart of downtown and runs northwest to the city limits, a distance of about 14 miles. It’s a wide road with at least three vehicle lanes in each direction. Like many of the city’s major streets and roads, it doesn’t carry the traffic volume it once did due to shifting populations to the suburbs and the movement of major businesses out of the city. The wideness of Grand River and the relatively light traffic makes for a good bicycle ride. The other day I jumped on Grand River a couple of miles out of downtown and headed northwest out past Grand Lawn Cemetery to the Redford Township city limits. The road is similar to other major commercial streets in Detroit that I’ve ridden in the past. There are the usual; small mom and pop places with amateurish painted signs offering beauty supplies, hand car washes, automobile repair and parts. There are quite a few fast food chain restaurants, plenty of coney island eateries, and other small places to eat. There are other businesses that look like they’ve been there many years and still have the original signs that date from the 1930’s through the 50’s. 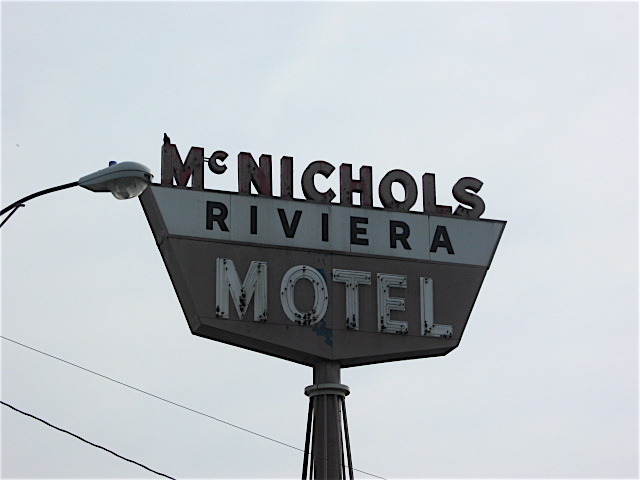 Gillis Realty Co. and the McNichols Riviera Motel, a place that hasn’t changed much since 1950’s, have good examples of vintage signs that I spotted on my bike ride along Grand River. This vintage sign looks to be from the 1930’s. 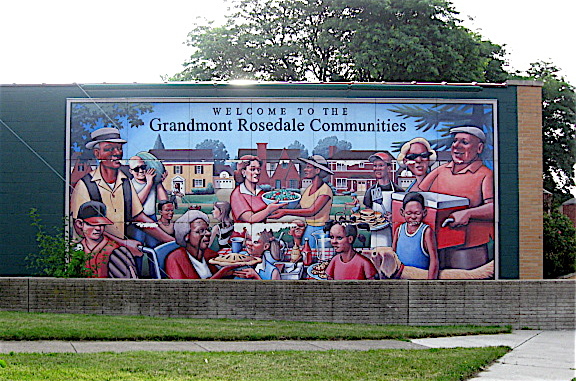 Just off Grand River near Southfield Road are the Rosedale Park and Grandmont Rosedale Communities. They are some of the best in the city and are stuffed with English Tutor style homes, brick Colonials and well maintained bungalows. 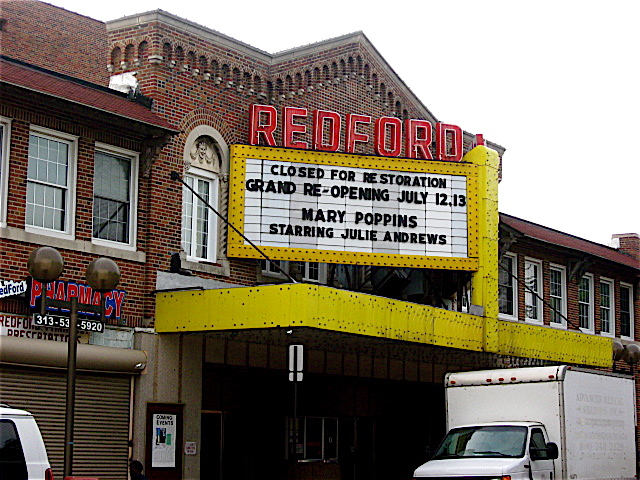 Just beyond these beautiful, well maintained neighborhoods is the Historic Redford Theater. 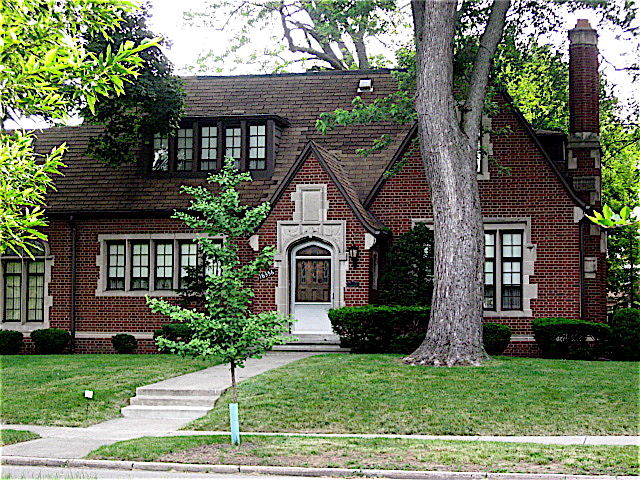 It was built on Lasher Road just off Grand River in 1928 and has been restored to its original Japanese motif. It is fully operational and offers year round entertainment, mostly movies. 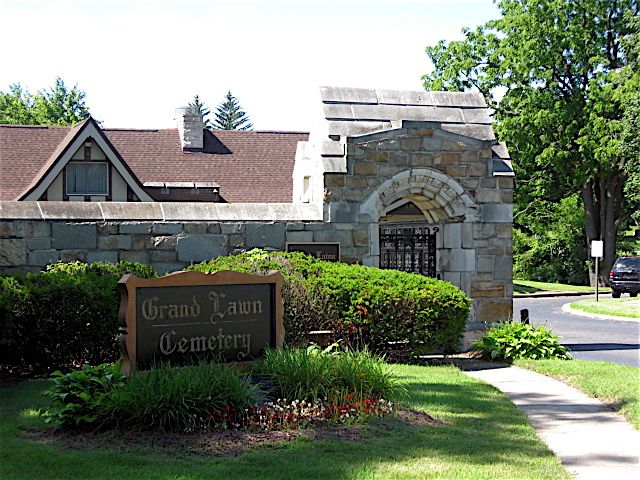 A little further out is the Grand Lawn Cemetery that was founded in 1908. The large cemetery covers about 150 acres and the Rouge River flows through it. 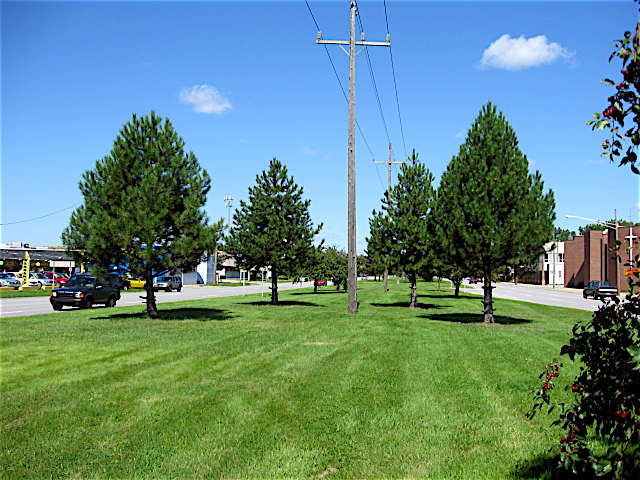 Near the cemetery Grand River splits into a boulevard with a nice, well-maintained grassy median. Just beyond the cemetery is Redford Township, a suburban community that was established in 1833. 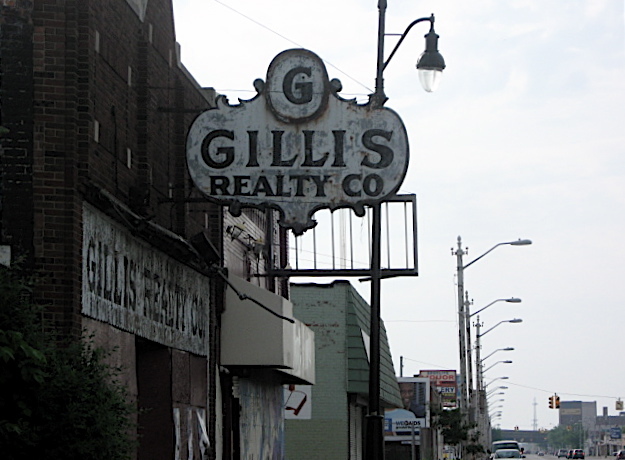 From there I swung around and headed toward downtown Detroit.